Known locations for this section of the game include Los Angeles, Singapore and Socotra, Yemen. Plot Summary: Let me set the stage for you; It’s 2025 and the military is fully stocked with the most advanced technology and weaponry of it’s time. I’m talking, unmanned vehicles, cyber warfare, robotics, and more. The entire country feels at ease knowing how powerful the U.S. military is. The only problem is that China has almost complete control over rare earth elements, which are by then essential for the development of military technology. So, what happens when two countries can’t figure how to share? WAR. The scary thing about it is that someone on the other side is hacking U.S. equipment, turning the weapons we once felt so secure behind, against us. David Mason- Son to Alex Mason (the protagonist from the original Black Ops), David Mason is the main character in Black Ops ll. He is a member of SEAL Team Six and is code-named “Section”. He’s one of the brave men willing to go out and fight in the middle of all the chaos. 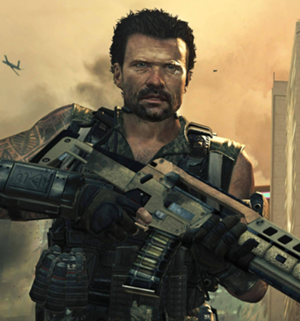 Raul Menendez- The main antagonist and terrorist leader of BO2. Menendez takes full advantage of the conflict between the U.S. and China by instigating the fight. I also believe him to be the infamous hacker taking control of U.S. military technology. Not much else is yet known about this mysterious figure except that he is somehow tied to the Reagan-era conflict in Nicaragua. He’s also a mutual enemy of David Mason and his father, Alex Mason. 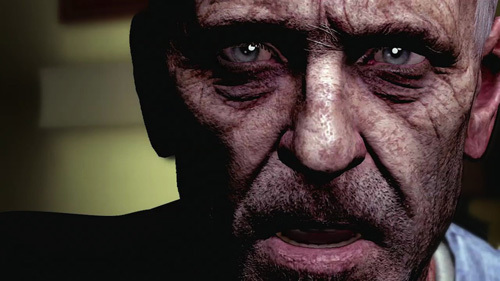 For the official COD: Black Ops 2 Villain Trailer CLICK HERE. Harper- A member of SEAL Team Six, and David’s right hand man. 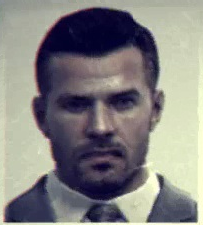 Alex Mason- The main character from Black Ops and the father of our new protagonist, David. 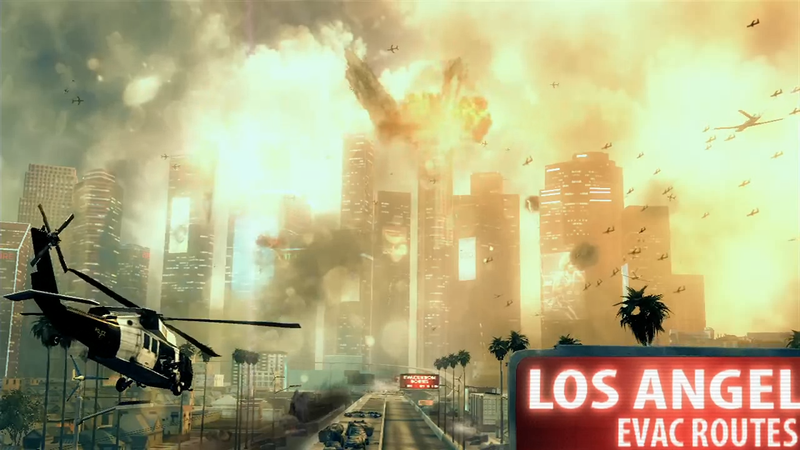 Although a majority of the game is set in 2025, it features a connecting story line with flashbacks from the 1980’s. Alex Mason is the character you will be playing during this time period, fighting proxy wars during the Cold War for the U.S. This is also where you will see how Menendez got involved in everything. 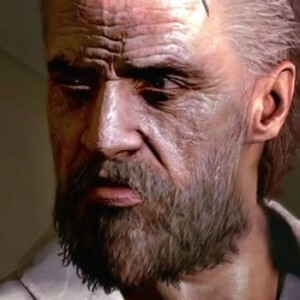 Frank Woods- Assumed to be dead in Black Ops, Woods is actually alive and well in Black Ops 2. He narrates the game explaining what happened in the 80’s, while on assignment with Alex Mason, and why it’s still important in 2025. He is the link between both Masons, and both time periods. It has been hinted that he may even have an important story of his own in BO2, where you will witness how he’s changed and what he’s really made of. 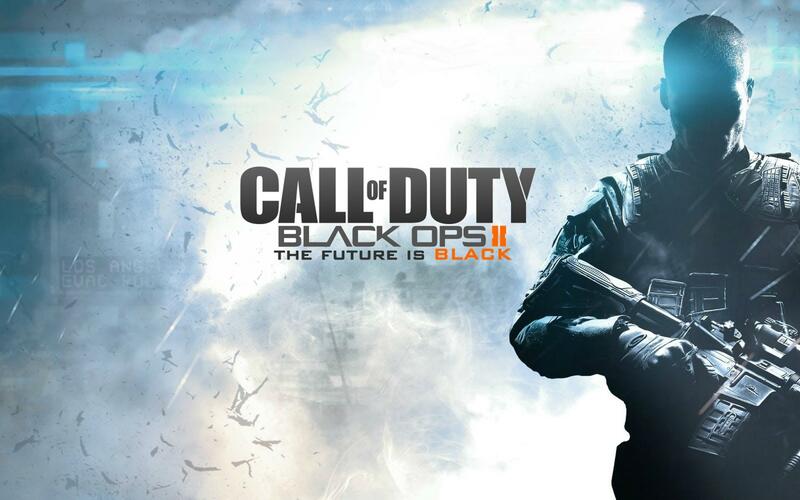 For the official COD: Black Ops 2 Reveal Trailer CLICK HERE. 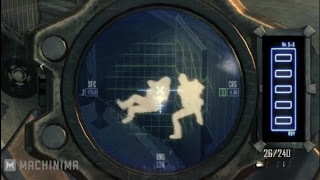 Strike Force Missions: So, Treyarch came up with this new idea of having non-linear missions as a part of the campaign. Basically, as you’re playing there will be certain points where you’ll be updated on the status of the world at large. Then you’ll be shown a list of missions, of which you can choose only one. After making a decision you will be placed on a battlefield with complete control over your Black Ops army. You can jump between soldiers, drones, C.L.A.W’s, etc., as much as you want and whenever you want. There’s also an overwatch view you can take to switch units to fit whatever needs you have at the moment. The entire mission can also be completed from overwatch mode by just giving orders to control your army. The catch is if a soldier dies or a drone gets destroyed, there’s no getting it back. If you’re whole army gets demolished and you don’t complete the mission then you can’t restart it unless you play the campaign all over again! You’re success or failure on the battlefield will alter the wider campaign story-line. Keeping Menendez from achieving his goals and the entire outcome of the war is all on YOU. At the end of the campaign you’ll be shown the different possibilities of what could of happened. This makes for great replayability which isn’t always common for the story-mode of games. 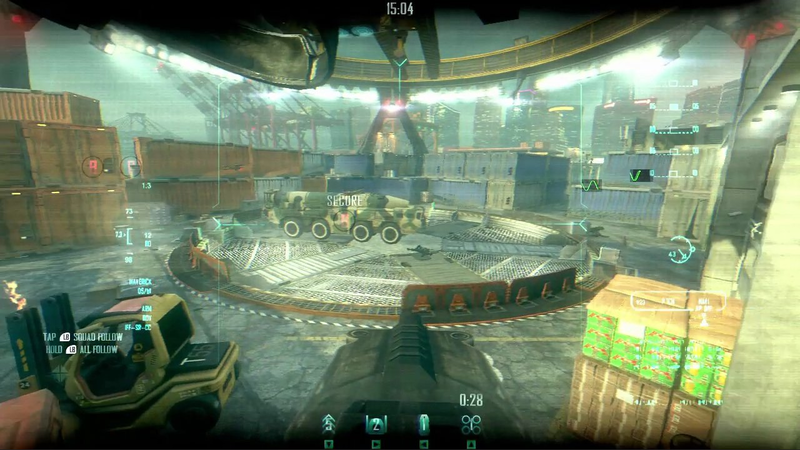 Screenshot of a Strike Force Mission in action. Score Streaks- Replacing Kill Streaks are Score Streaks. Now things like capturing territory will count towards your streak as well, instead of just kills. More rewards for different actions is definitely a good improvement in my book, and I think most gamers will enjoy that as well. Create A Class- The new Create A Class will be based on a 10 point system. Perks, weapons, and equipment will be worth a certain amount of points each, meaning you can mix and match things any way you like. Sacrificing points in certain areas will make it so you can use extra points in others. For example, choosing not to use any perks will free up 3 points to put towards more weapon attachments or equipment. You’ll have the ability to set up classes according to your playing style, making for much more flexibility and fun. Multi-team Mode- This is a new game mode that will allow 3 teams with 4 players per team or 4 teams with 3 players per team to play against one another until one team comes out on top. Party Games- These take the place of Wager Matches. Don’t worry though, you’ll still be able to play Gun Game, One in the Chamber, Sharpshooter, and Sticks and Stones. You just won’t have to gamble any COD points to play, because COD points won’t be making a come-back in BO2. Prestige- This feature is back of course, containing 55 ranks with 10 prestige levels. To unlock everything in the game you must reach Prestige Level 10. The best news I’ve heard is that weapon experience and unlocks will not be reset after you prestige anymore! 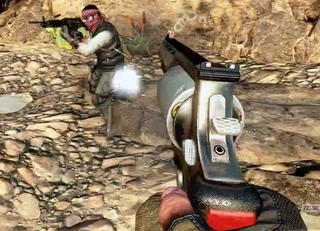 Customization- For everyone who loves to show off their guns with golden camo, the feature is back. Just complete the challenges to unlock it of course. I’m also happy to announce the return of the Emblem Editor! So everyone get your creative juices flowing and start thinking about how you can turn different shapes into all the funny, gruesome, and pornographic images you all contain in those sick brains of yours! 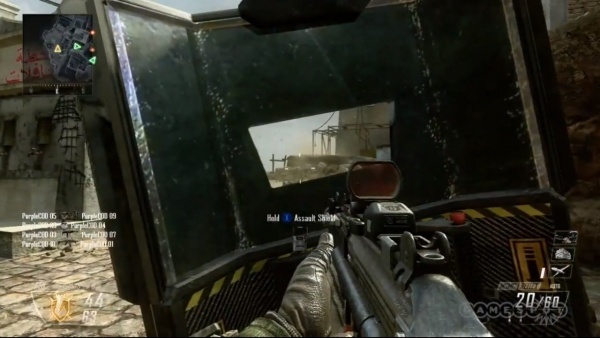 For an eight minute video of COD: Black Ops 2 Multi-player Gameplay CLICK HERE. Bookmarking- You will no longer have to search forever through all your matches listed in the Theater section. Now you can bookmark your gameplay to edit later, without even leaving the lobby you’re in. Meta Data- Your listed matches will also include more helpful meta data like score, kills, deaths, time, captures, and defends. All so that it’s easier to find what you’re looking for. Attach to Object- People will be excited to hear that you can now attach the camera to moving objects like RPG rockets for an amazing view of the action! You can also put 20 different clips together compared to just 10 in the first Black Ops. Highlight Reel- This feature will automatically take the best moments of your gameplay and put it together for you, probably by choosing your highest score-streak moments. Settings can be changed to edit what type of content you want filtered in. Up/Down Votes- The COD community will be able to upvote or downvote any videos they watch. This will result in all the highest voted game-plays being at the top of the list, while the sucky or generic videos drop to the bottom. CODCast- This is a live streaming feature allowing commentators to watch a players game-play from different views, including first-person. Parties will also be able to watch Theater videos together. Tranzit- This is actually the Zombies campaign! Yes, you read correctly. 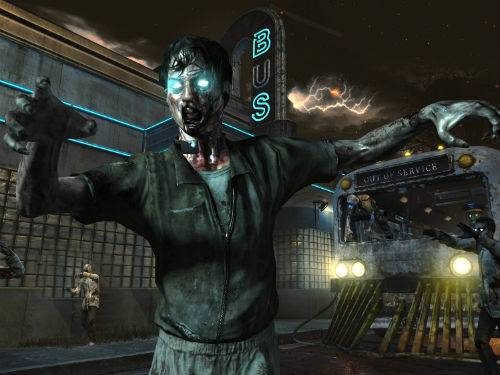 Playable by up to four people at a time, Tranzit is an open area game mode with 3 interconnected maps that you can travel to and from on a bus. You can fight while traveling on the bus, but this can both help and hurt you. On one hand, it’s a form of shelter but on the other hand, it could leave you trapped. Deciding to travel on foot will be dangerous, but your team won’t go un-rewarded. Explore outside and find “buildables”, items that can be put together by players to make weapons or a means of self-defense. Tranzit will help players make sense of the story-telling in the other modes. Survival- A recognizable mode, where players survive until the highest round possible. There is something new though, since Zombie’s now runs on the multiplayer engine you can now play with up to 8 players instead of the previous limit of 4. 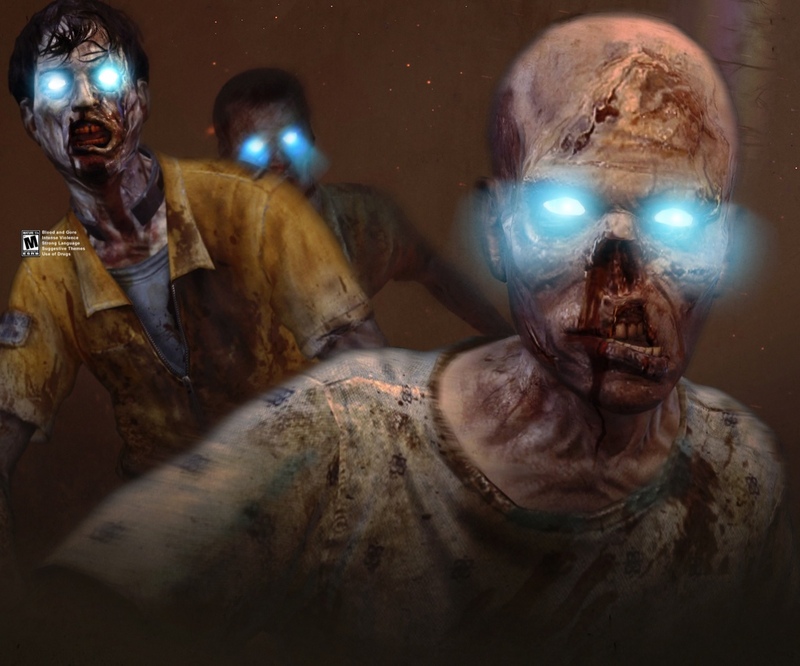 Grief- Nicknamed “4z4”, Grief is a humans versus zombies versus humans mode. Two teams of up to four players each fight to out-survive the other against zombies. Players can’t directly shoot one another, only the zombies can take someone out. Although, you will be able to annoy the heck out of the other team with player-harassment game mechanics, causing them “grief”. Custom Zombie Games- In custom matches players can pick their starting round, choose a headshots-only difficulty challenge, and disable magic items such as Pack-A-Punch vending machines, mystery boxes, and perks. 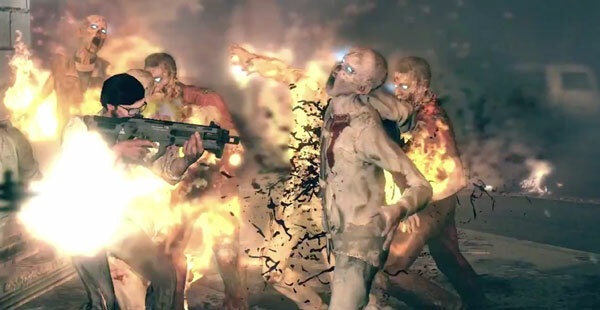 For the official COD: Black Ops 2 Zombies Reveal Trailer CLICK HERE. A view down the scope of the PSR sniper rifle. Storm PSR- A sniper rifle that uses the same technology as airport security scanners to see through walls. This same sniper also uses charged shots that can penetrate various density walls depending on how long it’s charged for. Campers aren’t ready for this. A first person view of the assault shield. Assault Shield- Finally a shield that covers the players entire body, including feet! Even more exciting is a hole in it that you can shoot through! Holding a shield and firing will no longer be just a dream for COD fans. 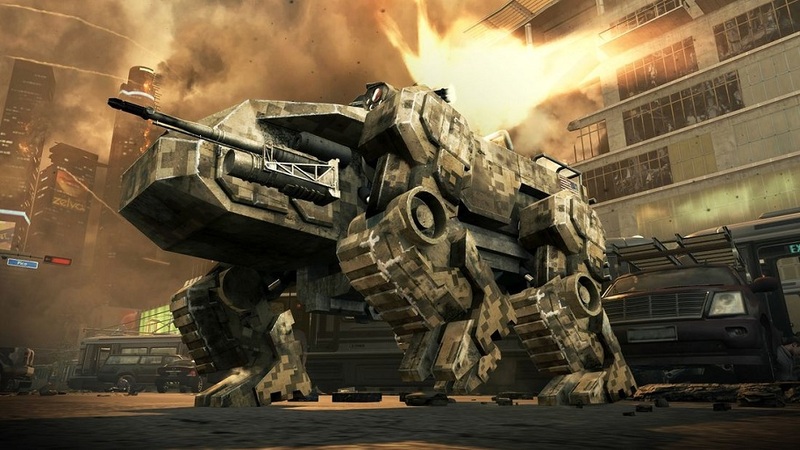 C.L.A.W- The Cognitive Land Assault Weapon is an unmanned vehicle, impenetrable by bullets. To take one of these suckers out you’ll need 3 direct shots from an RPG-7 or about 2-3 charged shots from the Storm PSR. It’s armed with a beastly gatling gun and grenade launchers. A first-person view of the Raging Judge. The Raging Judge- An extremely strong, semi-automatic revolver. Also known as “The Executioner”, this thing is like a mini-canon and I definitely wouldn’t want to get in it’s way. 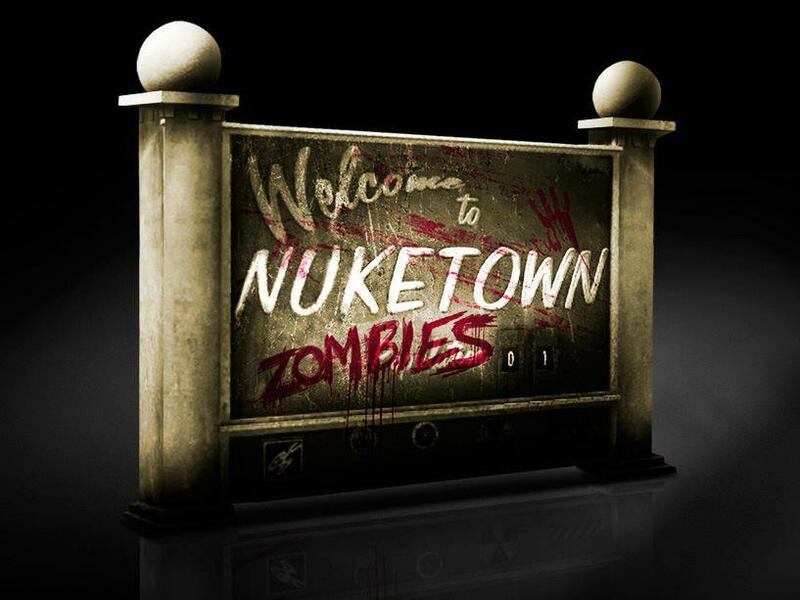 Oh, and did I mention Nuketown 2025 & Zombies Nuketown? Nuff said.